So easy you almost can't call it a recipe! 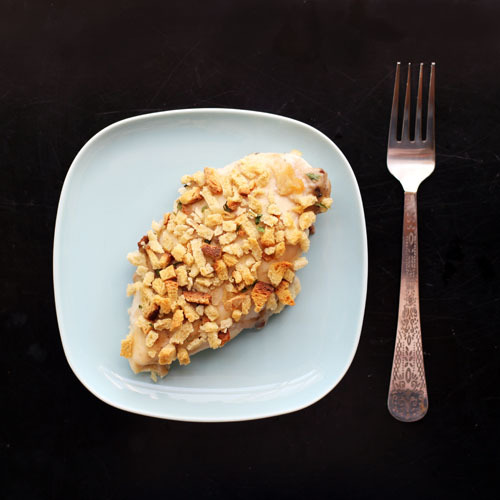 Stab the you-know-what out of your chicken with a fork on all sides. This helps make the chicken extra tender when baking. 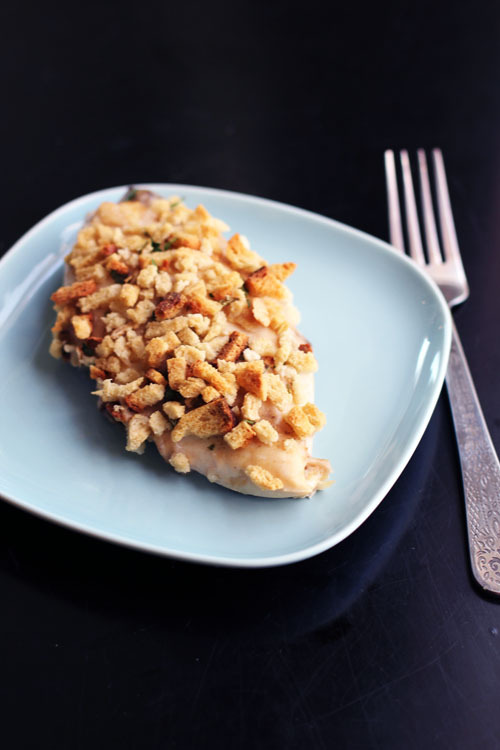 Coat chicken breasts in creamed soup, then coat in a layer of stuffing (all sides, stuffing straight out of the bag!). Place in a baking dish and bake uncovered for 20-30 minutes, or until chicken is cooked through. (Don't overcook!) If you are using a thermometer, cook until the internal temperature reaches 160ºF. Serve with yummy veggies or a salad and you're done! Want to try this recipe but it is unclear if you make the stuffing according to package directions before coating the chicken in it, or use it straight from the box, uncooked.